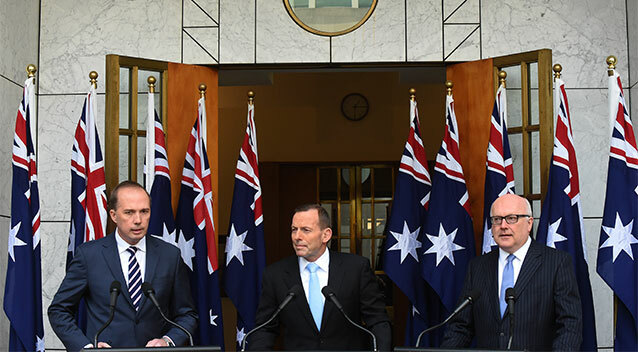 You might have noticed some social media and press commentary on the number of flags appearing behind Tony Abbott at his press conferences and prime ministerial announcements. One site, Eclectic Owl, is reporting a pole count surge with a recent sighting of eight flags. This seems quite significant after an average of just 1.5 flags per appearance over the last two years. 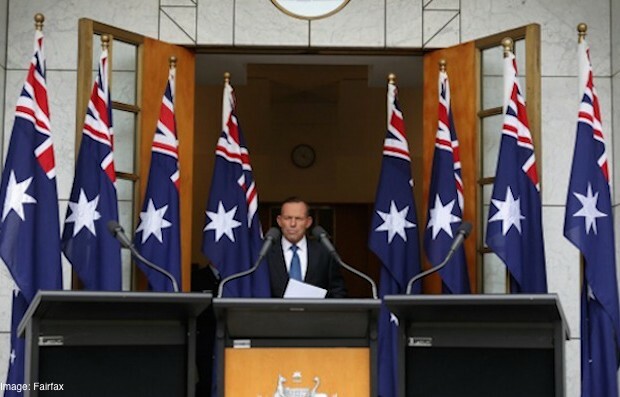 Well, I think I’ve spotted a new record, with Tony Abbott in front of 10, yes 10 flags. This was on June 23 at a joint press conference outside Parliament House, Canberra. Also present were Peter Dutton MP, Minister for Immigration and Border Protection and George Brandis QC, Attorney General. 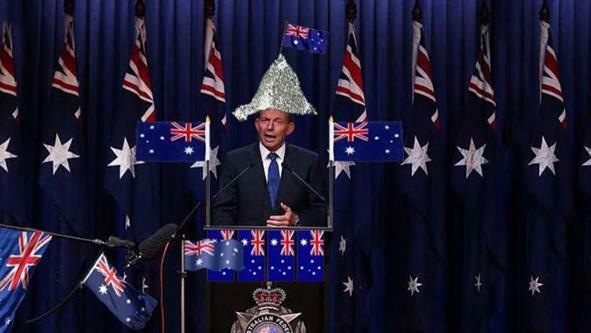 To keep up to date with sightings just put “Tony Abbott flag count” into your favourite search engine. Tagged Tony Abbott flag count. Bookmark the permalink. 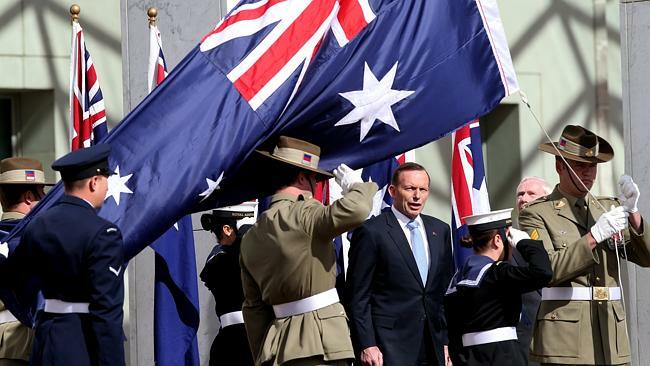 The Abbott-flag-count competition is now closed. Keep watch for Turnbull-flag counts. Somehow I doubt they’ll ever reach the the giddy heights of the Abbott government.